Coffee House Press, 9781566893541, 146pp. 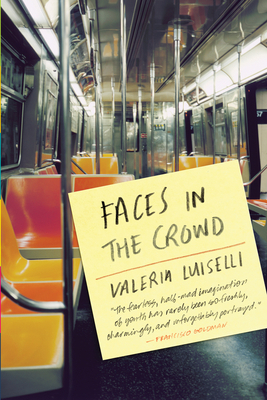 Valeria Luiselli was born in Mexico City in 1983 and grew up in South Africa. Her novel and essays have been translated into many languages and her work has appeared in publications including The New York Times, Granta, and McSweeney's. Some of her recent projects include a ballet libretto for the choreographer Christopher Wheeldon, performed by the New York City Ballet in Lincoln Center in 2010; a pedestrian sound installation for the Serpentine Gallery in London; and a novella in installments for workers in a juice factory in Mexico. She lives in New York City.